Kristen Stewart, star of the Twilight movies and American Ultra, hit the streets of NYC this week, and we had a total fashion epiphany. 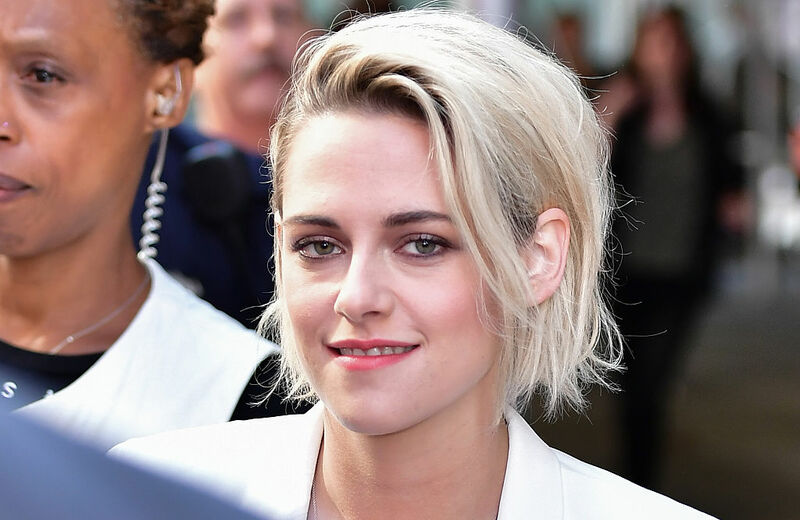 Kristen is known for getting creative with fashion, and with this look, she totally gave us a new way to wear one of our closet staples, and we can’t wait to try it. Kristen Stewart just rocked a Little Black Dress in a game-changing way that makes this wardrobe staple totally work for daytime. Kristen was spotted during her appearance on the Today Show, wearing a fabulous combo. She’s wearing a chic sheer white blouse, and that looks like an itty bitty strappy LBD underneath it. Our minds are blown. This look takes the skimpy LBD we usually save for a chic night out and makes it look fresh and fashionable for daytime. The addition of the sheer shirt keeps Kristen covered up and casual, but it still shows off the fabulous strappy dress underneath. We love how she’s paired it with school girl socks and shoes, which keeps the whole look feeling totally fresh. The best thing about this look is that it’s totally doable. Just pick up a fresh LBD and a top. With this sheer blouse from Express. The Fitted Halterneck Dress is available from H&M here for $39.99. And the Sheer Stripe Portofino Shirt can be found here at Express here for $49.90. With this ethereal see-through blouse from Free People. This Strappy V-Neck Tank Dress is available from Express here for $39.90. And this Lovliest Dot Buttondown Top is available from Free People for $98.00.